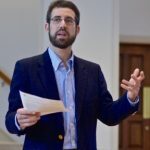 Dr. Berger, author of “The Jewish-Christian Debate in the High Middle Ages,” which was awarded the John Nicholas Brown Prize by the Medieval Academy of America, has written many articles on medieval Jewish history, Jewish-Christian relations, antisemitism, contemporary Judaism and the intellectual history of the Jews. His articles on Jewish-Christian relations have been collected in “Persecution, Polemic and Dialogue: Essays in Jewish-Christian Relations” and those on intellectual history have been collected in “Cultures in Collision and Conversation: Essays in the Intellectual History of the Jews.” Cochair of the Academic Advisory Committee of the National Foundation for Jewish Culture, Dr. Berger is a fellow of the American Academy for Jewish Research and a member of the Council of the World Union of Jewish Studies. 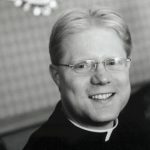 Dr. Cunningham, who serves as president of the International Council of Christians and Jews and as secretary-treasurer of the Council of Centers on Jewish-Christian Relations (CCJR), has been a member of the Advisory Committee on Catholic-Jewish Relations for the U.S. Conference of Catholic Bishops. He is also webmaster of the CCJR’s online resource supersite called Dialogika. Interested in biblical studies, religious education and theologies of Christian-Jewish relations, Dr. Cunningham is the author of several book and articles on these subjects. His most recent book, “Seeking Shalom: The Journey to Right Relationship between Catholics and Jews,” will be published later this year. His previous book, “Christ Jesus and the Jewish People Today: New Explorations of Theological Interrelationships,” received wide praise. How can members of different faith traditions dialogue with openness and respect? How can they confront the painful conflicts in their history and overcome theological misconceptions and even learn from each other? For more than twenty-five years, Professors Mary C. Boys and Sara S. Lee have explored ways that Catholics and Jews can overcome mistrust and misunderstandings through a process of “Interreligious Learning,” which they have studied and developed. This entails not simply learning about the other from within one’s own faith community, but rather engaging in specific learning activities with members of the other faith—learning in the presence of the other. Drawing upon examples from their own experiences, they will lay out a framework for engaging the religious other in depth. Mary C. Boys, a member of the Sisters of the Holy Names of Jesus and Mary, is Dean of Academic Affairs and the Skinner and McAlpin Professor of Practical Theology at Union Theological Seminary, New York City. She is the author of several books, including Jewish-Christian Dialogue: One Woman’s Experience; Has God Only One Blessing? 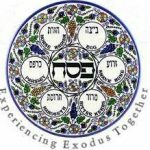 Judaism as a Source of Christian Self-Understanding; and, most recently, Redeeming Our Sacred Story: The Death of Jesus and Relations between Jews and Christians. She and Sara S. Lee wrote Christians and Jews in Dialogue: Learning in the Presence of the Other. Sara S. Lee is the emeritus director of the Rhea Hirsch School of Education at Hebrew Union College-Jewish Institute of Religion in Los Angeles. Recipient of the Samuel Rothberg Prize in Jewish Education for Hebrew University in Jerusalem and of the Pras HaNasi, the President of Israel’s Award for Distinguished Leadership of Jewish Education in the Diaspora, she is also past president of the Association of Professors and Researchers in Religious Education. She edited Communities of Learning: A Vision for the Jewish Future and co-edited Congregation of Learners and Touching the Future: Mentoring and the Jewish Professional. Rabbi Abraham Joshua Heschel (1907-1972), one of the most influential modern theologians, played a pivotal role in shaping the new relationship between Jews and Christians. His article “No Religion is an Island” (1966) was an especially important Jewish statement on interreligious relations. 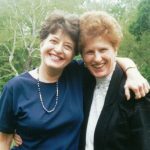 Dr. Susannah Heschel, his daughter and a religious historian, will reflect on his approach and insights, and consider their relevance almost fifty years later. 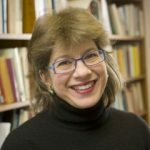 Susannah Heschel, Ph.D. is Professor of Jewish Studies at Dartmouth College, and the author of numerous books and articles, including Abraham Geiger and the Jewish Jesus and The Aryan Jesus: Christian Theologians and the Bible in Nazi Germany. She is also the editor of Moral Grandeur and Spiritual Audacity: Essays of Abraham Joshua Heschel. Currently she holds a Guggenheim Fellowship and is writing a book on the history of European Jewish scholarship on Islam from the 1830s to the 1930s. This program is part of the annual fall speakers series “Facing Out to Look Within: Modern Jewish Intellectual Leadership,” co-sponsored by the Herbert D. Katz Center for Advanced Judaic Studies at the University of Pennsylvania, Beth Am Israel, and Main Line Reform Temple-Beth Elohim. What Can Catholics and Jews Say to Each Other Today? Nearly fifty years ago, the Second Vatican Council issued the groundbreaking declaration, “Nostra Aetate, the Declaration on the Relationship of the Church to Non-Christian Relations,” which rejected a long history of hostility toward Jews and made possible a new relationship. Nearly fifteen years ago, Jewish scholars published a historic text: “Dabru Emet: A Jewish Statement on Christians and Christianity.” It sought to explain to Jewish readers the changes underway in Christian-Jewish relations because of documents such as Nostra Aetate. Join us as two interfaith leaders consider the respective Catholic and Jewish documents and re-imagine what would be different about them if they were updated in the light of developments that have occurred since their original publications. Rev. John W. Crossin, Ph.D. is executive director of the Secretariat for Ecumenical and Interreligious Affairs of the United States Conference of Catholic Bishops (USCCB). 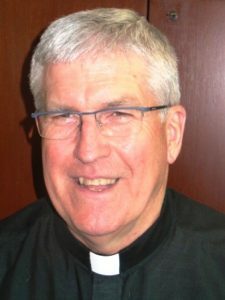 A member of the Oblates of St. Francis De Sales, he holds a Ph.D. in moral theology and master’s degrees in psychology and theology from The Catholic University of America. He has served as president of the North American Academy of Ecumenists. Rabbi David Fox Sandmel, Ph.D. is Director of Interfaith Affairs for the Anti-Defamation League. He earned his doctorate in Religious Studies at the University of Pennsylvania, with a focus on the History and Literature of Judaism and Christianity in the Greco-Roman World. He received his Rabbinic Ordination and Masters in Hebrew Literature from the Hebrew Union College-Jewish Institute of Religion in Cincinnati. 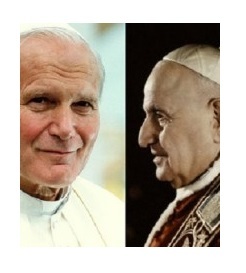 This panel will conclude the Institute’s spring series “The Popes and the Jewish People,” which marked the canonizations of Pope John XXIII (who convened the Second Vatican Council) and Pope John Paul II (who vigorously implemented the conciliar declaration Nostra Aetate. The text of Pope Francis’ homily at the canonizations. GUEST SPEAKER: Kevin Spicer, C.S.C., Ph.D., a priest in the Congregation of the Holy Cross, is the James J. Kenneally Distinguished Professor of History, Stonehill College, Easton, MA, and the author of Hitler’s Priests: Catholic Clergy and National Socialism and Resisting the Third Reich: The Catholic Clergy in Hitler’s Berlin.